A network of private schools on Monday observed ‘I am not Malala’ day to condemn Nobel laureate and teenage girls rights activist for her alleged support for controversial British novelist Salman Rushdie. All Pakistan Private Schools Federation, which last year banned the Malala’s memoir “I am Malala”, organised the “I am not Malala” day. 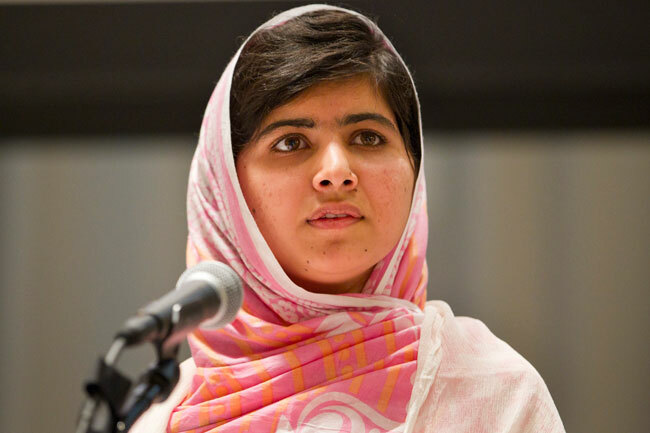 In a statement, the federation president Mirza Kashif Ali alleged that “Malala has nexus with Salman Rushdie and Taslima Nasrin”. He said Malala’s book, written with British journalist Christina Lamb, was too sympathetic to Rushdie. Ali said Rushdie’s book was clearly “anti-Islam” and by supporting him, Malala has joined his club. “We severely condemned the chapter of the book in which Rushdie’s book has been mentioned as freedom of expression by Malala while referring to father’s views,” said Ali. Rushdie’s book The Static Verses in 1989 created a storm in the Muslim world while Bangladeshi author Nasrin was accused by radical Muslims of blasphemy over her novel “Lajja” in 1994. Malala, who lives in Britain where she went for treatment after the Taliban attack, won worldwide acclaim for her campaign advocating education for girls in Pakistan. However, some conservative circles in Pakistan allege that she was being used by the West. It is also believed that the private school might be targeting her to create sympathy among the Taliban who have destroyed hundreds of schools in the country.